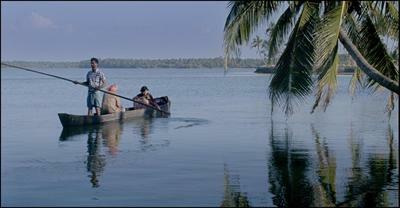 “Harikatha Prasanga” (Chronicles of Hari) is set in a coastal town of southern India. It narrates the story of aYakshagana artist Hari who has gained extreme popularity portraying female roles. The story of Hari’s life unfolds through different perspectives captured in three episodes across four audio-visual interviews conducted by filmmakers Sharmila and Sundar, primarily interested in investigating and documenting on his whereabouts. During the course of interview it is revealed that Hari’s daily routine comprises of being awake all night performing the role of female impersonator and sleeping during the day time where he is himself, a male. In-spite of immense fame Hari shares a troubled relationship with his brother. Hari’s personal life faces an emotional turmoil. Plans of his marriage fail due to the very reason of him playing female roles in Yakshagana. A prostitute whom he visits, with affection, refers to him as “Sister.” As a result of these incidents an inner conflict, the question about the ‘real self’ starts to haunt him. His requests for male roles but gets refused. 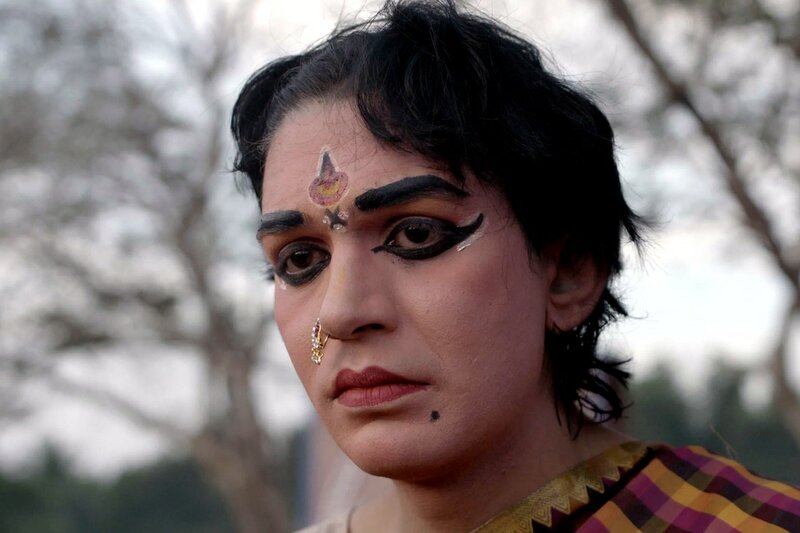 Dejected, Hari quits his troupe, shifts his gender role in real life embracing partial cross-dressing much to the embarrassment of his brother and his family. To make things worse his cross-dressing affair becomes the cause for the fall of his brother’s marriage. This leads to a fight between the siblings forcing Hari to leave his house. Hari moves out of his village, takes to cross-dressing completely and starts a new beginning. He joins a new Yakshaganatroupe where he continues to portray female roles hoping to bring the magical moments back in his life. The impact of staying away from his village, losing his family, and the ability to perform on stage under pressure just aggravates the conflict. Will Hari be able to to win over his conflicts? Where does this journey lead him to? What secrets do Sharmila and Sundar discover? ​Ananya Kasaravalli, Has a masters degree in film making from L.V.Prasad Film and TV academy, Chennai. Born into a family of film makers, her interest in film making comes naturally to her. She has had a successful career in acting - films, TV and Theater before joining as a student at Prasad academy. As a young director, Ananya has won many awards for her short films “Wasiyat Nama”, and documentary on transfeminity – “Beyond Binary” and “ Kappu kallina shaitan”. ‘Harikatha Prasanga’ is her first feature film.